This gateway module is an industrial-strength USB to RS232/485/TTL isolated converter with an original FT232RL circuit inside. It features embedded protection circuits such as power isolation, ADI magnetical isolation, TVS diode, and more. Also, the USB TO RS232/485/TTL comes with an aluminum alloy enclosure that makes it robust and durable. 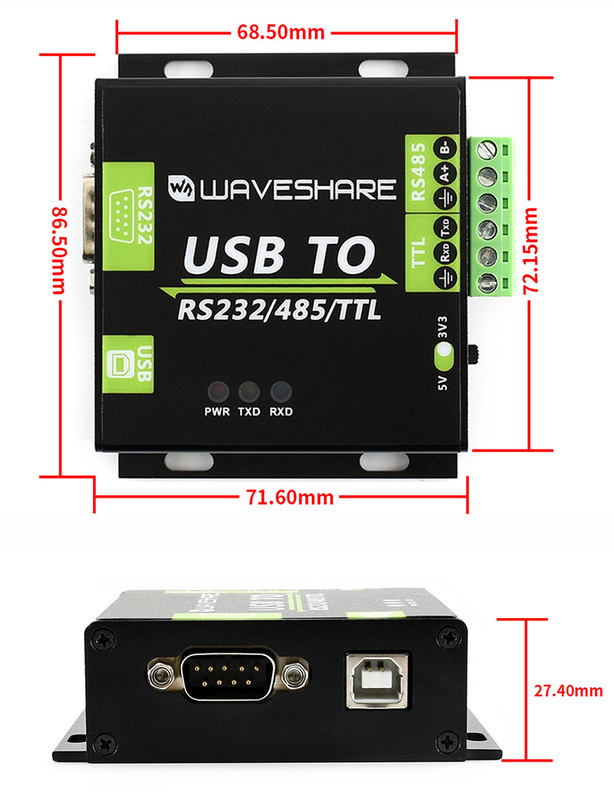 The USB TO RS232/485/TTL is very easy to use, fully automatic transceiving without delay. Due to its high-speed communication, stability, reliability, and safety, it is an ideal choice for industrial control equipment and applications with demanding communication requirements. 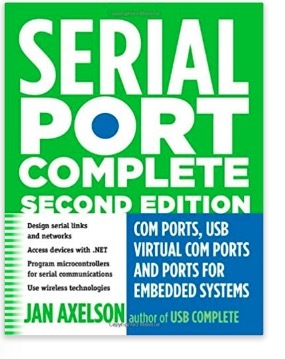 PC COM ports, USB virtual COM ports and ports in embedded systems are all addressed in this updated guide to programming, interfacing, and using serial ports. Topics include using .NET’s SerialPort class for COM-port communications on PCs; upgrading existing RS-232 designs to USB or wireless networks and creating serial networks of embedded systems and PCs. Example circuits and code provide a quick start to projects. Installation and maintenance staff discover tips for ensuring reliable operation and problem tracking. Click the button below to add the USB TO RS232 / RS485 / TTL Industrial Isolated Converter to your wish list.